The hashtag has been around for a few years already: #SixSeasonsAndAMovie. 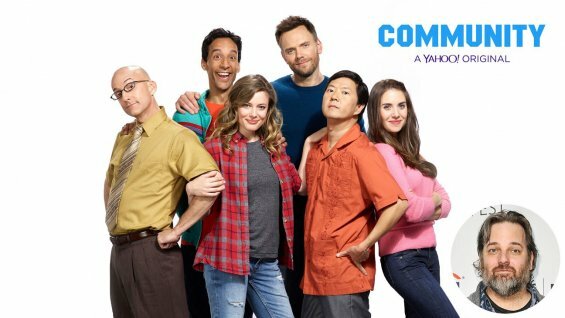 Yet every time Community cancelled, someone gave it life again…and this time it is Yahoo, via Yahoo Screen. Season 6 premiered yesterday (HERE) with two fresh episodes, and they were amazing!!! This show has been given a fresh start, and everyone was happy, even “Jesus Wept”. Looking forward to fresh episodes every Tuesday for the next couple of months, and maybe even a Season 7? The funniest show in production, and the season 6 premier did not disappoint. I don’t really want a season 7 though. It deans fitting to end with a movie after 6 seasons, which will hopefully include the return of Troy, Shirley, and even Pierce, somehow/someway, giving us in its final farewell the original Community, before everything chang-ed. Dean you later! These first two episodes will probably bring more viewers to Yahoo Screen then they’ve seen before!